Decisive Trading: Let Your Profits Run and Cut Your Losses Early...What Does it Mean?? 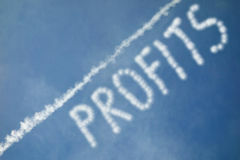 Let Your Profits Run and Cut Your Losses Early...What Does it Mean?? 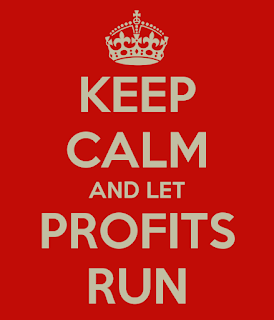 Let your profits run and cut your losses early. It’s muttered between traders and written in books. I imagine Wall Street gurus huddled in leather chairs, sipping single malts and discussing it. It sounds very simple; it sounds sensible. But what the heck does it mean? Cutting your losses should really read – Have a stop planned in the market before you enter a trade. You should always have a stop set out. In fact, your stop should be considered before your take-profit, in my opinion. It should be somewhere sensible that also limits your risk as much as possible. And then? Simple - You DO NOT alter your stop. Under no circumstances do you increase your stop because you’re sure your trade is right and the market just needs a little more wriggle room. The only adjustment to your stop should be to make it smaller as the trade moves in your favour, never to increase it. This is more important than almost anything in trading. If you have predetermined risk you can manage your account, you can protect your capital. That is what is meant by cutting your losses early – not allowing them to decimate your account. I know a trader – actually, he no longer trades because he blew his account – who once held a position moving against him for so long that his final loss was over £40,000. He kept moving his stop. As the loss grew, so did his fear of taking the hit. He was sure if he just waited a little longer the market would correct. It was bound to, right? It sounds crazy. You’re probably laughing in your head and thinking, ‘what an idiot that guy must have been.’ But this is normal. Remember, most people fail at trading. They let emotion and ego run their trades. They don’t last long. The market will not allow you ‘wriggle’ room. And what about letting your profits run? Again, it sounds easy. If you’re in a winning position, let it run, squeeze as much profit from the markets as you can. Your winners need to cover your losers and also make you enough money for trading to be viable. But emotions, the key word that I keep repeating and which you are growing sick of hearing about. Emotion. Emotion. Emotion. You’re up 100 pips on a trade. The market is still pointing in favour of your trade. But here comes a retracement. Or is it actually a complete change of direction? +80. You should really take the profit, no sense letting it drain away. +60. You’ve waited too long, how stupid. It’s mostly gone, all of that hard earned profit. +40. You close the position. It’s difficult (unless you have that crystal ball). The markets are unpredictable. 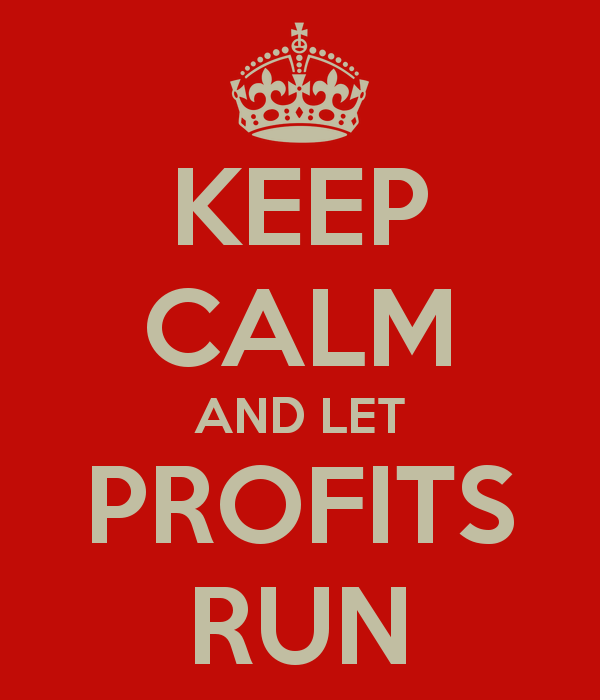 A system that lets your profits run will suffer a lot of lost profits on a lot of trades. But that type of system is designed to catch the big moves. It wants to search out the trending days and take as much profit from them as possible. You aren’t looking for 10 pips here, 20 pips there. You want the big moves that will make a difference to your capital. The problem is that all of those lost profits mean that you start adjusting your plan, trying to catch the small moves because letting the profits run just isn’t working. And because of that, you miss the big move! How is it done? Well, I like to combine the two systems. The 10 pips here, 20 pips there, WITH the 100 pips. Have my cake and eat it, if you will. How do I do this? I close my position out in stages. First stage is where I think the market is going to show me support or resistance. Second stage is when it TELLS me it has met support or resistance and is reacting to it strongly. I use a Moving Average for this second part. It removes the emotion. I just watch for the signal to exit. When I get it, I’m out. Nice and simple. I’ll show you how to do it in the next video. I’ll be uploading it tomorrow.